191: Klingon, MF’er, Do You Speak It?! Merry Christmas and Happy Holidays! 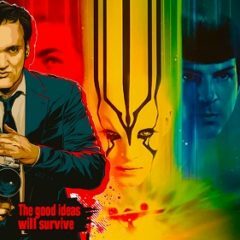 Quentin Tarantino making an R-Rated Star Trek movie, so… that’s a thing we aren’t going to ignore. That carries us into how pop culture is perceived in the 23rd Century, and then Brain Break covers Tom Clancy’s Wildlands, Wolfenstein, Marvel’s Runaways, and LEGO games.